Macumbeira: "Des Pudels Kern" and "die Gretchenfrage"
"Des Pudels Kern" and "die Gretchenfrage"
The German language has itself been influenced by Goethe's Faust, particularly by the first part. One example of this is the phrase "des Pudels Kern," which means the real nature or deeper meaning of something (that was not evident before). 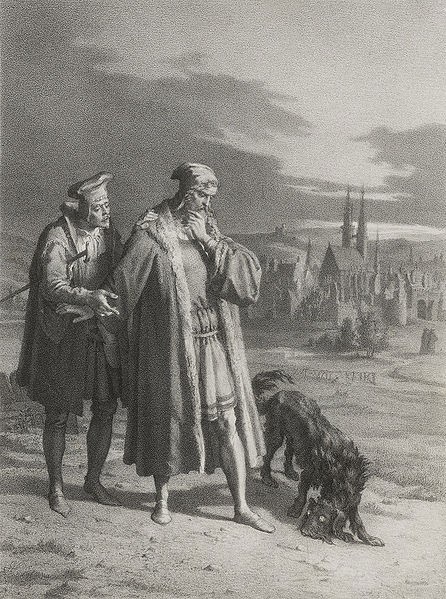 The literal translation of "des Pudels Kern" is "the core of the poodle," and it originates from Faust's exclamation upon seeing the poodle (which followed him home) turn into Mephistopheles. Another instance originates in the scene wherein Gretchen asks Faust if he is religious. In German, the word "Gretchenfrage" (literally "Gretchen question") refers to a question aiming at the core of the issue, often forcing the answering person to make a confession or a difficult decision.